Like most people, when I first started practicing centering prayer, a form of Christian meditation, I struggled with “thoughts.” Centering prayer involves letting go of thought and allowing the mind grow quiet for a set period of time, let’s say 20 minutes. But we can’t really stop thinking – it’s what makes us human. So in centering prayer we focus on a word or our breath and let the thoughts come and go. When we catch ourselves getting distracted by a thought, we gently return our focus to our word or breath. Which all sounds well and good. In theory. In practice – and least in mine – it often sounds like this. Inhale … exhale … inhale … exhale … inhale … ex – man I am hungry. And I didn’t pack any lunch. Have to go out. Did I bring any cash? Ugh. I hate putting every little thing on my card. I’ll have to run to a cash machine fir—crap! I did it again! Crapcrapcrap. Inhale … damn, and I was doing so good, too … exhale … I don’t even know why I bother … inhale … I should have just gone to lunch early … exhale … If I’d gone to lunch early I could have taken a walk around that park by the river. That would be just as restful as — crap! I’m doing it again! Several of my early centering prayer teachers said the return was the most important part of the process. As effortlessly as possible, they said. 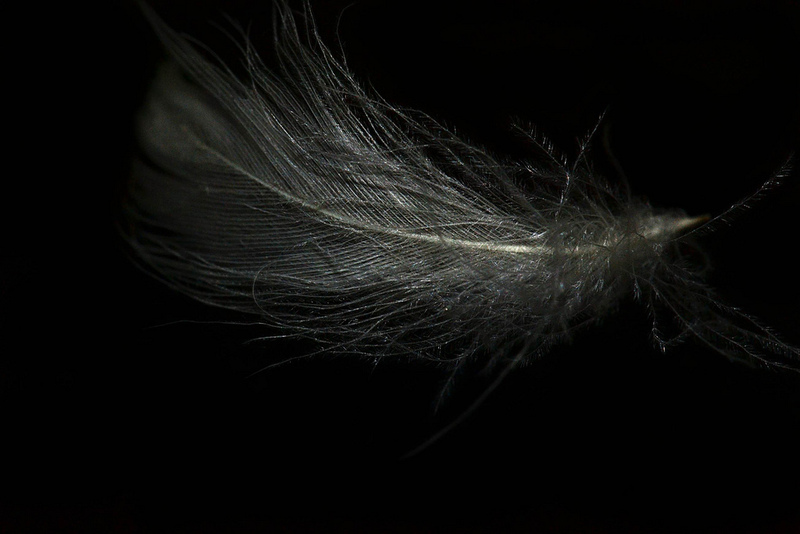 Like a feather dropped onto a pillow. I heard those words, and could repeat them when I taught or led a centering prayer class, but I secretly knew what we all know. That when I mess up, the best course of action is berating myself or weeping and wailing or taking advantage of the “teachable moment” to point out all the similar things I have done wrong and predict all the things I will do wrong in the future. It has taken me over ten years, but I think I am getting better at the smooth, gentle return. I am seeing how the berating (as tempting as it is) is just another distraction, another thought to chase. I can see that the return is not a way to correct myself when I do the process wrong, but rather it is the process. It was just this month, however, that I began to see how the gentle return is becoming vital in my walking around and talking life, too. A simple “I’m sorry” is so much more effective than self-recriminations and explanations. Just preparing a healthy meal instead of vowing to change my entire diet after a week of eating crap. Unrolling the dusty yoga mat and doing some simple stretches. Catching myself going off course and simply and gently returning. More often than not, we subscribe to all of nothing thinking. Go big or go home. Fix it all or don’t waste your time. It’s easy to blame that on the American culture of excess or our advertising-driven capitalist system. And that certainly doesn’t help. But that kind of big talk/no action stuff is one of the Inner Critic’s favorite game. [link] One of the Inner Critic’s main jobs is to keep you safe and the easiest way to do that is to keep you from doing anything. The bigger deal I make about Turning Over a New Leaf or Changing My Ways the more riled up my Inner Critic seems to get. It shows me a hundred times I have tried and failed before. It waves dire warnings of failure and shame in front of me. It insists that is I can’t see It Through to the End there is no point in even starting. If (as a totally random example) I were to decide to start blogging after having blogged for many months ( over a year, can that be right?) my Inner Critic might tell me I needed to first have a lengthy list of possible topics lined up, and a backlog of posts ready for the next time I was derelict in my duties (since that seems to be a perennial problem – no judgement, just some hard truths I should face before getting back into writing). I should compose the perfect post that would be heartfelt and contrite and apologetic or go into great detail about what the last several months held for me. Or maybe it should be a raw outpouring of emotion. And I should review everything I have already written and posted to make sure it is error-free and still reflects my views. But first I should update my bio and probably my Twitter bio too. And still nothing gets written. The gentle return slips past the Inner Critic. The simple return, as soft as a feather landing on a pillow allows me put a few words after some other words and soon there is a little something ready to post. So, this is my way, I guess, of saying that I am returning to this blog. It’s been a wild and wooly few months. A couple of moves, a couple of health scares. Some employment changes. Things were lost – a lot of things. A lot of things were learned. I may write about some of them at some point later. Mostly, they don’t seem to matter much now that the dust has settled. I do have my list of topics. And I will be updating some bio information. But I couldn’t seem to do anything real until I had make the return. This entry was tagged Blogging, Change, Inner Critic. Bookmark the permalink.